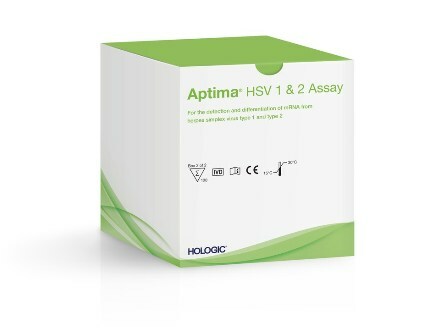 Medical technology firm Hologic has secured approval from the US Food and Drug Administration (FDA) for its Aptima assay for the detection of herpes simplex virus (HSV) 1 & 2. The assay has been approved to detect HSV1 & 2 molecular assay on the fully automated Panther system. Aptima HSV 1 & 2 assay was developed to qualitatively detect and differentiate between HSV-1 and HSV-2. Aptima HSV 1 & 2 assay is a nucleic acid amplification, which can qualitatively detect and differentiate HSV types 1 and 2 in clinician-collected swab specimens from anogenital skin lesions. The samples will be collected using either the new Aptima Multitest Swab Specimen Collection Kit or commercially available viral transport media. It will help to diagnose HSV-1 and/or HSV-2 infections in symptomatic women and men. The assay will be used to test specimens collected in a range of transport media, including the Aptima specimen transport medium. As per the US Centers for Disease Control and Prevention, infections with HSV-2 affect more than 24 million Americans. Hologic diagnostic solutions division president Tom West said: "Helping our clinical lab customers consolidate testing on the Panther system enables them to be more efficient and productive. "By partnering with our customers, we'll be better able to offer more people high-quality and faster testing results and improve detection of STIs like herpes. This new product clearance reflects our commitment to providing healthcare professionals and patients with greater certainty and peace of mind." Image: The FDA has approved Aptima herpes simplex virus 1 & 2 molecular assay. Photo: courtesy of PRNewsfoto/Hologic, Inc.